• Save your galleries to your device for offline viewing when you find yourself in a no-interwebs part of the planet...whether that’s the Amazon jungle or the right side of your couch in your San Francisco apartment). 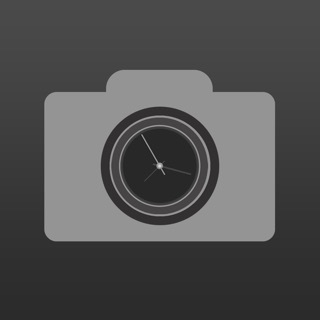 • Find your photos, galleries and folders easily using Search. • Enable the SmugMug extension to upload from your Camera Roll, SMS messages and other apps. What’s that mean? It means wherever your photos live on your phone or tablet, you can easily move them over to SmugMug. We do the heavy lifting for you. 3.6.1: Fixes a crash some users experienced while uploading photos. 3.6.0: Our newest iOS drop puts more power in your taps. Now you’ll be able to select multiple photos to download straight to your iOS device. When viewing photos in a gallery, look for the option to select multiple photos in the overflow menu or long-press on a photo to begin selecting multiple photos. We also added full support for the two newest iPad Pro sizes so your photos will look pristine on your favorite tablet. I have been dealing with various apps including this one for 6 years now. None of them offered an easy way to upload (backup) my photos iPad and iPhone to smugmug. I did not need a sync app, I needed a way to back up the photos I didnt want to sync. This 2018 updated app is exactly what I need. I manage 2 smugmug accounts- one is personal and one is for a non-profit. I use my iPhone to take pictures for both accounts and I get emailed photos on my iPhone and iPad that apply to one or both accounts. With this app update I can switch log-ins quickly. I can select a gallery and directly upload images in seconds. I can create a new gallery. I can change gallery settings. I can add photos to both smug mug accounts. I can delete photos. I can download selected photos to either device. I can show entire galleries or a single photo when I need to. If you need an app that allows backup and organization of your photos in smugmug then this app fits the bill. I love this app, and it has been great for my photo and video storage. But for the first few days, I couldn’t watch any videos within the app. I finally figured out that if I saved the videos to my iPad’s camera roll, I could then watch them on my app. But I have quite a lot of videos, and it is frustrating to have to do this every time I want to watch a video. I have also been having trouble uploading certain videos in the first place. It isn’t the case with every video, but fairly often I will be told that a video can not be uploaded, even when I try to upload it multiple times. I would GREATLY appreciate these being fixed, as it would save me a lot of time and work. But, overall I am very pleased with this app! I have been trying to upload photos from a recent Central America trip. Three times the upload has stalled at approximately 2/3 completion. I made the suggested changes to my settings and the problem remains. Reading discussions on this topic, I see it’s a continuing problem. What a waste of time! I tried again another day and the large file (number of photos) froze again about 2/3 of the way. This time I was able to exit, determine the number of the last photo accepted, and continue uploading from that point. Success! I really like everything about Smugmug but found that exercise frustrating. Finding a work around leads me to updating my review to a more positive one. We hate hearing that your photos won’t upload. When you say large files, do you mean a large *number* of photos, or their actual file size is large? We’ve been hard at work squashing all the uploading issues (and you’ll see that we solved the issues for most of our customers), so any additional information so we can continue fixing this issue for you, would be very helpful!